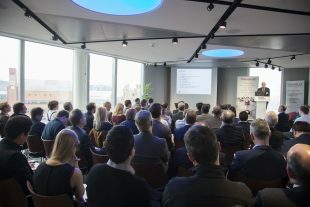 We were thrilled to see more than 100 people at our recent briefing event in London, where we shared details of our Integrated Innovation in Nuclear Decommissioning initiative. Dozens more joined in through the webinar. 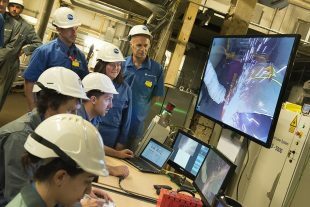 The initiative is a competition, with £3 million funds shared out among successful collaborative projects that promise to bring a real step change in decommissioning at some of Sellafield’s toughest facilities – my role is to support developing new technologies for the site. We’re hoping the competition will inspire new collaborations between businesses small and large, with academia and other researchers. 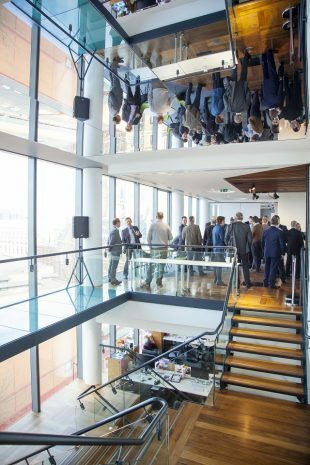 There was a real buzz around the Digital Catapult venue for the briefing. 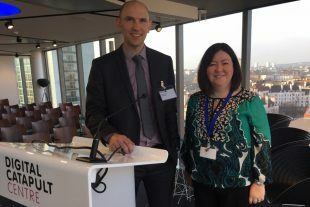 We recognised a healthy sprinkling of familiar faces in the audience but we were equally pleased to welcome dozens of organisations who were new to nuclear decommissioning. Their expertise was wide-ranging and included, for example, space technology, defence, oceanography, data capture, virtual reality and much more – I’m sure some of their know-how could be modified for nuclear, and link up with other technologies. After the briefing event, the next stage is for interested businesses/organisations to come along to in the brokering events during February and March – these are important for networking and meeting prospective partners. We hope to link up anyone who isn’t familiar with us or the industry to partners who are, so they can form consortia to submit proposals. The competition is about finding solutions to some of the challenges we know will arise at Sellafield once the THORP and Magnox reprocessing facilities close in the next few years. We need to spend time and money now on identifying the best solutions, looking at all options from in-house designs to technology already operational in other sectors and inspirational concepts seeking development support. This competition is part of our ongoing commitment to seek innovation across all NDA sites and encourage news ways of working that are safer, faster, and cheaper. These will be key criteria as we and our partners at Innovate UK assess the submissions after the closing date in April. The competition is also about integrating the different technologies that emerge so they work together smoothly and efficiently. Sellafield Ltd are working with us, and our government funding partner Innovate UK, to help tailor the innovation process and ensure the solutions are matched to the challenges. We’ve listened to feedback from suppliers after previous joint competitions and have designed a competition that offers 100% funding – but entrants are welcome to contribute funds – to take ideas forwards. 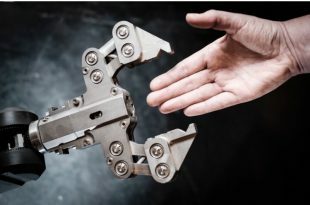 Another element is the prospect, for successful proposals, of a future demonstration in a radioactive environment on the site at Sellafield where the innovations will be deployed. This really means it will be ready for the market and full commercialisation. We know this is hugely valuable for both the site where the technology will be deployed, and the supplier. The advantage of holding a competition like this as well as seeking solutions from our on-site workforce is th­at we can encourage these projects to take risks and really explore ideas – that’s difficult for a workforce required to meet our deadlines, budgets and performance targets.